Just a difference two days after Apple throwing iPad to the U.S. market, its competitors, Microsoft’s, mysterious invitation sent to media outlets in the United States. I was so secret, the journalists who were invited were made curious because the invitation did not mention clearly what the event will be held by Microsoft later. In the invitation, just writing time of the event, where the event took place, and the theme of the invitation contained in large spherical envelope “It’s time to share”. However, according to the Wall Street Journal that quoted by Silicon Alley Insider, it turns out that the event will be held Monday, April 12, 2010 in San Francisco, is the launch of Microsoft’s smart phone that has previously been much discussed. “Microsoft will announce a new line of products their phones, which will have social networking capabilities, and is aimed at young consumers,” the source said the WSJ. 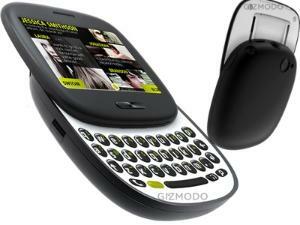 This phone, he said, is part of Microsoft’s efforts to survive in the mobile world. Mobile devices that will be launched later is a project code-named ‘Pink’. This phone is expected to adopt the operating system Windows CE-based, such as the operating system used by the media player Zune and Windows Phone 7. It has a panel interface boxes that provide shortcuts to music, email, RSS feeds, social networks Facebook, Twitter, Windows Live, and Yahoo. Microsoft phones to be launched, would be produced by Japanese companies, Sharp and sales will work together with operators in the United States, namely Verizon Wireless. This illustrates the seriousness of the launch of Microsoft’s mobile phone to plunge even further in the field of smart phone hardware, as well as refreshing to be able to continue to compete with platforms other smart phones such as Apple, RIM, Nokia, Symbian, and Android.